Look what popped into my inbox recently: these Art Deco men’s slippers are pure Shanghai 1930s, with their geometric zing. They’re the latest from Shanghai shoemaker Suzhou Cobblers,which specialises in hand-sewn slippers. 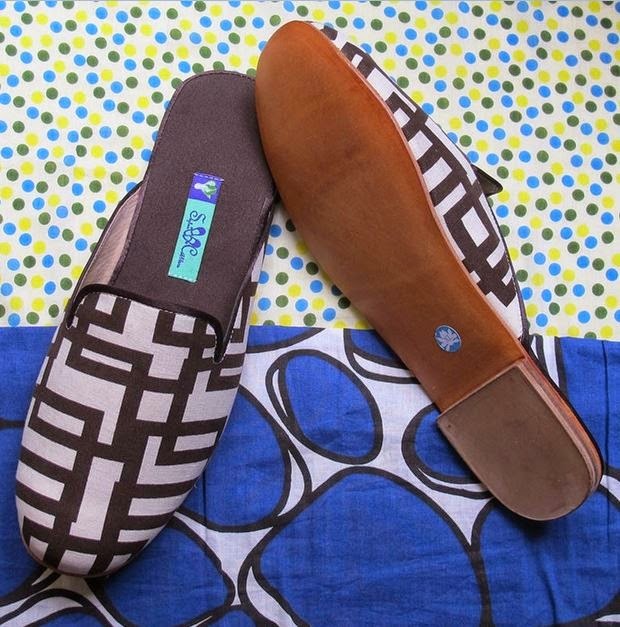 Made from silk with a leather sole, they’re a great souvenir from a great city. I popped in a hundred years ago (ok, maybe it hasn’t been quite that long since I was in Shanghai) but put them on your list if you happen to be in town. They’re open every day from 10am – 6.30pm, just off the Bund. You’ll also find them across the river in Pudong, in Beijing, Hangzhou and – ever so slightly further afield – in Munich.